The telecommunications industry has rapidly evolved creating a whole new ecosystem fostering new trends and technologies that are at the core of what we call "digital transformation". 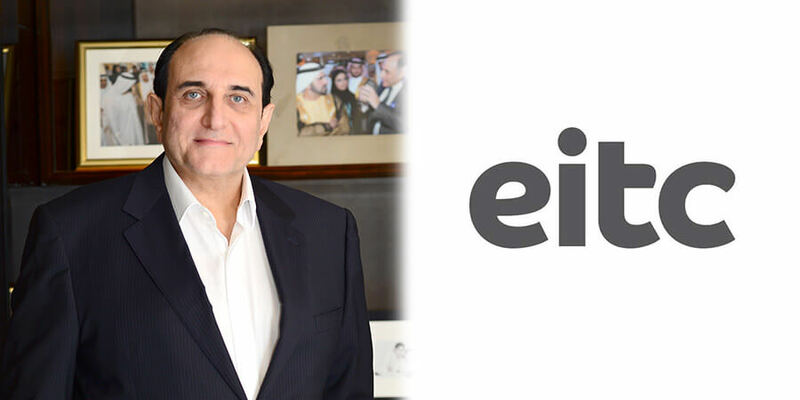 In an exclusive interview with Telecom Review, Osman Sultan, Chief Executive Officer, Emirates Integrated Telecommunications Company (EITC) highlighted how the company has maintained a leading position in the market thanks to the approach it has adopted in terms of digital transformation. EITC is increasingly becoming the preferred partner of choice for businesses in the UAE to deliver end-to-end bespoke ICT solutions. What is it that differentiates EITC from its competitors in relation to delivering digital transformation? It is a fact that telcos need to evolve rapidly beyond their traditional business to remain relevant for customers and profitable for shareholders. At EITC too, we have identified our new growth areas - specifically to serve the growing government and business sectors, while maintaining our position in our traditional business. Enterprises are increasingly interested in digital transformation and a majority of them are now convinced that they have to adopt emerging technologies to remain competitive or relevant in their respective industry. Our unique approach to the challenges of digital transformation is to treat it as a journey of discovery together with our business customers and partners. One of the key focus areas in our approach is to take the time to build a relationship based on "trust". In practical terms, we sit with enterprises to understand their future aspirations and business goals, and then build the customized architecture using emerging technologies to help achieve those business outcomes. Enterprises find this approach useful and realize the benefit from our leadership, as the technology landscape today can be very intimidating especially when they are trying to focus on their respective industry such as healthcare, banking, etc. In the longer term, we have an important role to play in supporting the UAE's vision in transformation into a knowledge-based economy - and here the rules of the game are different, with virtually no precedents. Early on, we nurtured our capabilities in the yet-to-be-evolved futuristic technologies such as Blockchain, Artificial Intelligence, Machine Learning, Internet of Things, and Managed Services - with security at the core. The interesting aspect about these technologies is that they need the power of a next-generation-network to really make the most of it - specifically - 5G. This is where our strength in network infrastructure comes into play. A number of prominent analysts have suggested that operators such as du and Etisalat need to invest in data to avoid going out of business, with voice calls are becoming more and more obsolete because of technological advancements in VoIP services. Do you agree with this analysis, and that data is the future for telecommunication operators? Communication has always been an intrinsic need for everyone - it is as basic as a human right. Voice will continue to be an important part of our portfolio even though it's essentially mobile data as the growth driver. Smartphone proliferation and more data-centric offerings are likely to take centrestage in the future. I believe that growth in mobile broadband will, to a large extent, substitute and offset the revenues from voice. For us, data is the new oil in a digital economy. ITC enjoyed phenomenal growth especially in its first quarter when it recorded an increase of 41% in its net profits. What do you attribute as the main factors in achieving these impressive financial results? Sustained profitability is one of the key parameters of our success. It's important to note that in Q1 2018, EITC recorded a one-off reversal related to regulatory costs, which positively impacted EITC's profitability. The one-off cost relates to a reversal in the fees paid to the regulator equating to 1% of regulated revenue. This follows clarification from the TRA on what regulated revenue is. Excluding this one-off, net profit increased by 7.9%, in Q1 2018, compared to Q1 2017. We registered 7.9% growth in profits as a result of our efficiency drives in previous years. One year ago, EITC announced the launch of its very own digital brand in the form of Virgin Mobile UAE. How much of a success has the launch of Virgin Mobile in the UAE been for the company? The first year here in the UAE has been a great journey for Virgin Mobile - and clearly customers love the differentiation from other offerings in the market. In a short period of time we've positioned ourselves as the premium brand in digital on-boarding and customer experience - which are both fundamental components in our DNA. I believe that we have taken the market to the next level by creating incredible experiences with the Virgin Mobile app and all the new innovations we've released to the market. These represent key achievements for us in the UAE, but when you perform a benchmark analysis at the industry level, it's evident that we're also inspiring the industry with the introduction of our home delivery under one hour service. The way we interact with our customers and provide them with flexibility to choose their mobile number through the app, and provide them with access to all the features and functionalities we offer, ensures we deliver an unrivalled customer experience. This, in an increasingly competitive value market, is our key differentiator. 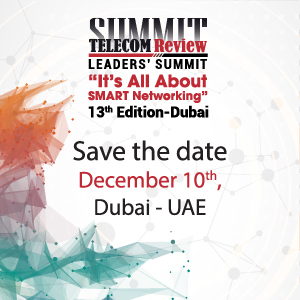 Do you believe that the progressive vision of the UAE leadership, which is to always be at the forefront of technological advancements, will enable the country to become a leader in 5G? We are fortunate that we live in a country where the leadership is always at the forefront of technological advancements and beyond, pushing the boundaries of what's possible and setting the agenda for others to follow. 5G will be the catalyst and the vehicle of digital transformation with its ultra-high-speed wireless broadband services making industries ultra-available with low latency. 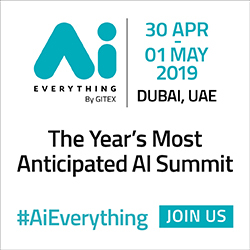 This development facilitates the implementation of the UAE's top strategic directives, including the Fourth Industrial Revolution, Artificial Intelligence (AI), smart city, and the Internet of Things (IoT). Additionally it will facilitate handling big data transfer between machines (M2M) and IoT, as well as expanding the speed and capacity of multiple folds of Gigabits per second, for providing new services that meet the requirements of the digital transformation and smart government. We strongly believe that the UAE is one of the very early adopters of these new technologies and will be leading the adoption of the next innovations for the benefit of the people. EITC has recently opened a fully-fledged digital business center in DIFC. Can you outline to us what benefits and support this facility will provide for SMEs and startups? It is imperative to allow companies to grow in this digital age through scalable mobile, fixed and data options. Our store at DIFC is designed with business customers' needs in mind. An important component of it is that, in-line with the Dubai Paperless Strategy, all transactions at the business center are digitized. Integrated and paper-free operations will enable us to provide 1800 businesses and 21,000 employees with innovative, ﬁne-tuned business applications and intelligent digital products. The future of transactions is right here, as we speak. Why is creativity so important in order to attract new consumers in what you've termed as the 'attention economy'? Today's consumers are more discerning than ever before. We know that people make their mind up about a brand within a matter of seconds. The 'attention economy' we live in today is an eco-system of smart devices and digital touchpoints. Consumers have the world in their palm, literally, and they are the ones in control. They choose whether to engage with brands and on what terms. So who you are, what you stand for and how you engage with new customers demands a creative approach. The best previous experience people had becomes their new benchmark of their next experience regardless of the industry! Every day at du we take on that challenge to step up, be relevant and build meaningful, contextual and trusted relationships with our customers wherever they are. In your expert opinion, what remains the biggest challenge for telecommunications operators globally, and how can they generate new revenue streams to offset a decline in its existing traditional business models? Globally, voice and messaging businesses continue to shrink due to OTT applications. The GCC region is not immune to this pressure. The lifestyle of individuals is turning increasingly digital. Such a shift in digital lifestyle has increased the customers' expectations from telecom operators for lower prices. The Internet has also transformed into a content platform where end users store and download media in an instant. Therefore, OTT services, utilizing operators' network infrastructure, have put pressure on global operators to invest in network capacity expansions. As telecom service providers, we therefore need to also transform and become agile in the way we do business by positioning ourselves to provide Infrastructure as a Service. Operators will have to change their ecosystem, become agile and lean, and offer catalogue-driven automated architecture-based products and services with an online marketplace; and close the loop of service fulfillment and assurance while still capitalizing on their core strength: providing secure connectivity to customers. We are best positioned to deliver on this front. In parallel, telco operators have a great opportunity to expand their service offering portfolio by adopting additional revenue streams such as IoT, M2M, VSaaS, Blockchain, AI and Cloud migrations. EITC has signed a number of MoUs with major vendors in an effort to facilitate their digital transformation agenda. How successful has your digital transformation strategy been for the company, and how do you help your partners achieve their digital transformational goals? EITC collaborates with a number of providers to enable and pave the road towards digital transformation. The selection of strategic partners capable of delivering key transformational goals is critical. We demand agility of thought to keep up with the constant fluctuation in customer expectation, continuously challenging the business to be the best it can be is critical throughout the process. When considering digital transformation, it is important to be clear about what exactly the end vision is meant to look like. In generations past, one could be specific about a process or an experience. The truth of the matter today is that customers' expectations are moving very quickly and the ability to optimize and automate process is also accelerating. The end game will be beyond any initial planning a company may have in place. EITC's digital transformation has already shown return on investment across every function of the business and remains a priority for the group moving forward. Aiming further ahead, select partners are enabling EITC to deploy the right technology infrastructure, platforms and digital services while maintaining customer experience. This approach serves to align the benefits from digitalization with customer expectations and deliver on our focused strategic direction. As the digital transformation at the EITC core matures, the capability to provide digital services and products for strategic partners and customers grows. The portfolio of digital services and digital products offered by EITC addresses real problems and enables businesses and end consumers to create value from new or improved functionality, efficiency through automation and service enablement amongst other ways. This offering builds on the main proposition to enhance connectivity and communication while maintaining an unwavering focus on customer satisfaction and experience. What are your future predictions for the telecommunications sector? What sort of impact will the emergence of transformational technologies like 5G, AI, Internet of Things, Managed Cloud Services and Blockchain have on the industry? The UAE is a rapidly-transforming nation with committed government leadership to outline what the future looks like; embracing innovation, cloud computing, data analytics, IoT, AI and 5G, to name a few. Telcos have been putting more focus on AI, Machine Learning, IoT and Blockchain than regular network expansion; which is an indication of the mind-shift from pure telco-play towards an ICT and digital transformation play. With the emergence of 5G, for example, IoT technologies such as machine to machine (M2M) communication complemented with data analytics and cloud computing will drastically alter the landscape of all businesses. The transition to 5G and subsequent implications on M2M communication is a critical enabler to the adoption of new technologies. On a similar note, the wide adoption of IoT and its use cases help shape the industry making tomorrow livable today. Cloud computing and IoT enable the UAE government to streamline data collection, data science and analytics. Machine learning and AI will be able to predict anomalies and scenario outcomes in a mere fraction of the time, allowing for a safer and smarter UAE. Emerging technologies are a blessing in disguise for the telecommunication industry as they remain key to leveraging the latest developments for the benefit of society.